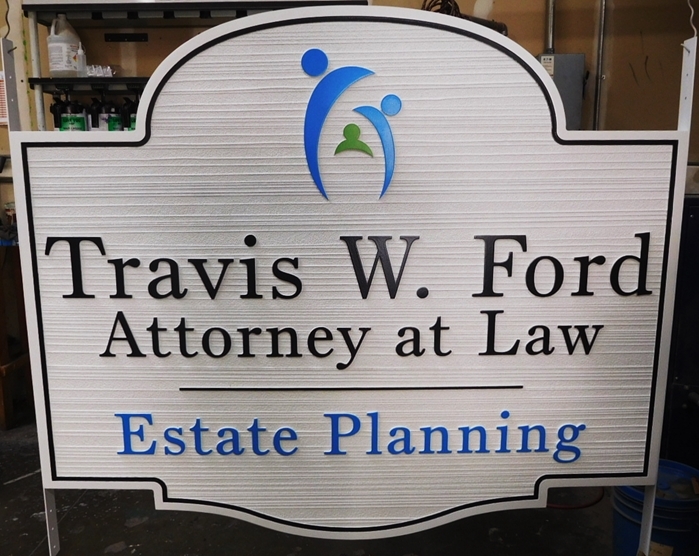 Above is a sandblasted in a wood grain pattern, carved HDU sign for an Estate Planning Attorney. The text, logo and borders of the sign are carved in raised, 2 1/2 D. The sign is painted with highest-quality Matthews paints followed by a double application of Matthews clear coat for added UV protection and durability. The sign was then mounted on two poles.